On March 14, 2019, Cyclone Idai hit Mozambique near Beira City. Many lives were lost and homes and infrastructure were severely damaged or destroyed. In the following days, entire villages were submerged underwater as floodwaters rose. Thousands of people were stranded on roofs and trees. Many families were separated as they fled rising waters, while others were trapped on higher ground, unable to access food and clean water for several days. Tens of thousands of people were displaced, running with nothing but the clothes on their backs as they sought safety. 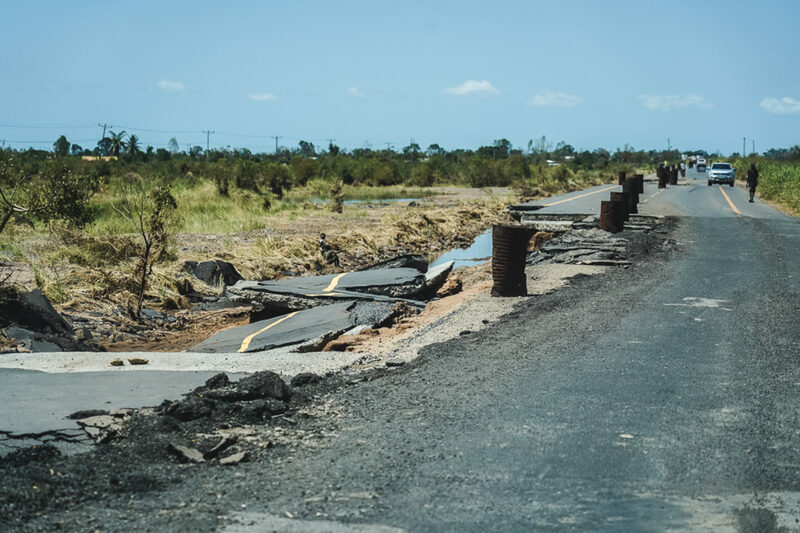 1.85 million people in Mozambique were affected by Cyclone Idai and its aftermath, according to the United Nations. And with more thunderstorms predicted in the coming days and cholera threatening to spread, the situation remains extremely volatile. I was deployed with the Emergency Response Team within days of the cyclone. Arriving in Mozambique after more than 24 hours of travel, I was quickly reminded of how unpredictable and unique each emergency is. No matter how well-prepared and informed one is, the reality on the ground is always surprising. However, one thing is always the same. In these situations there is a bond that forms among people coming from all over the world as they strive to help those in need. When we arrived at Beira airport, it was already dark but the airport was bustling, mostly with staff from different humanitarian agencies. Government officials and humanitarian agencies had set up an operational center at the airport to help plan and organize the response. Within minutes of landing, we were making connections with others and sharing what we knew about logistics, communications, and the overall situation and needs. 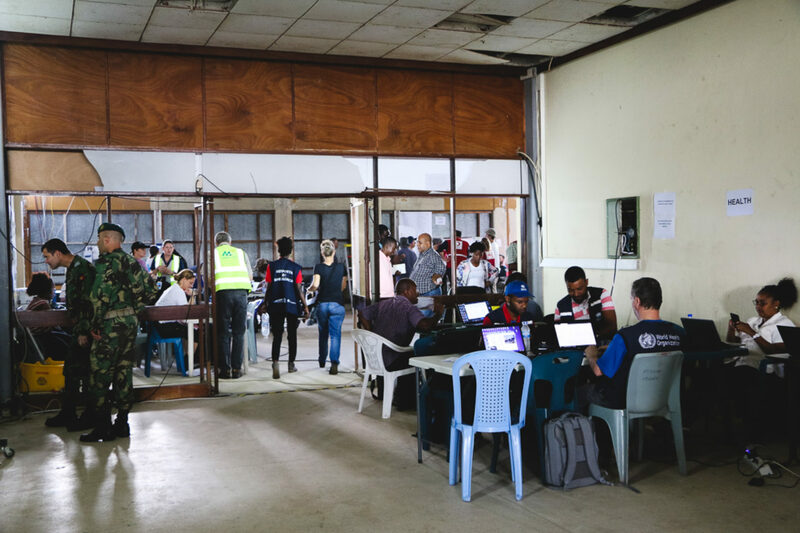 In the aftermath of Cyclone Idai, humanitarian agencies set up a coordination center at Beira airport to plan and organize the emergency response. 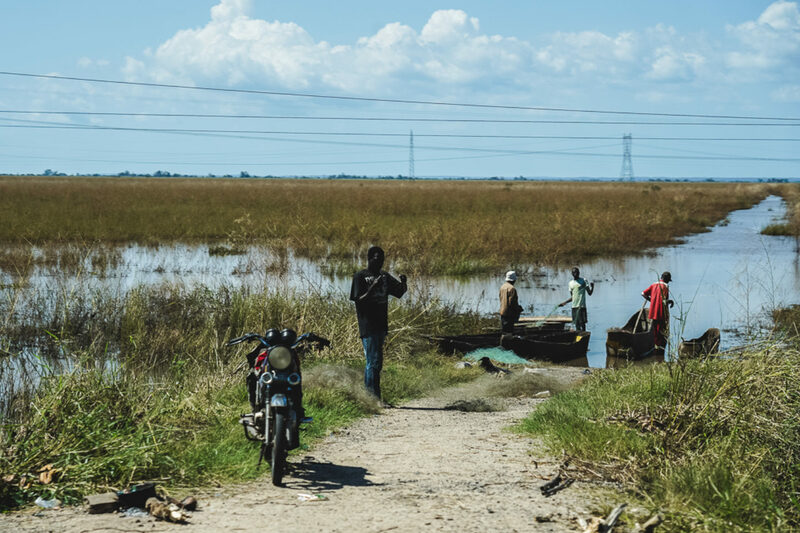 The following day, we left Beira to travel to the more remote areas that had been affected by the disaster, to see for ourselves what were the most pressing needs. Our driver, Lancaster, didn’t speak English, but understood Spanish, so we made a deal – I would speak Spanish and he would answer in Portuguese. These are the sorts of challenges we face during emergencies that require an extra dose of creativity. We drove along the only road that connects Beira to the rest of the country and to the capital, Maputo. On our drive, we saw many damaged homes; and the farther we drove, the level of destruction and devastation became increasingly visible. The tropical cyclone severely damaged the main road. No one could access remote villages for several days, leaving people trapped. The road has since reopened, but a significant part of the highway is still reduced to one lane. We arranged for translators to join us and continued north towards Nhamatanda District. As we continued to drive, we saw large pools of water on both sides of the road. 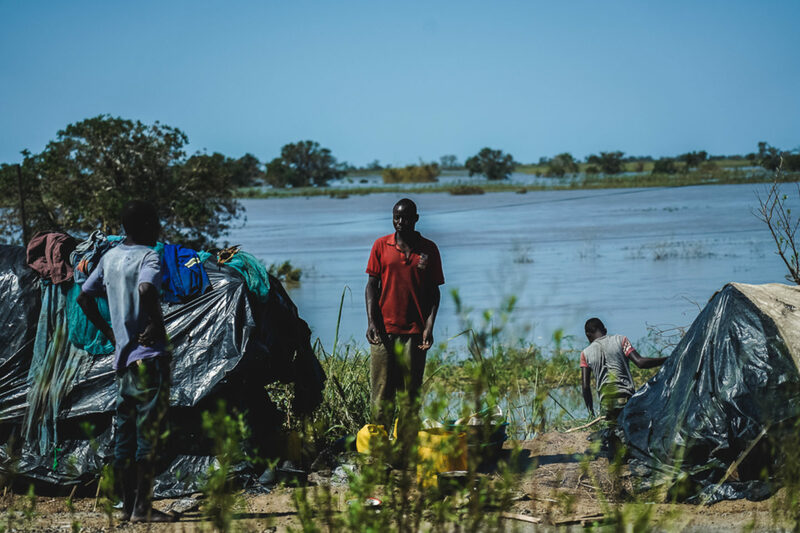 The area had not only been hit by Cyclone Idai, but also affected by serious flooding in the aftermath. Houses in these rural areas are mostly made of mud. Many of them had been completely washed away, and the ones still standing were badly damaged. The United Nations estimates that nearly 1.23 million acres of farmland were flooded. The severe damage to crops and large-scale loss of livestock is likely to increase food insecurity across the region. As we drove towards Nhamatanda, we saw temporary shelters made of wood and plastic sheeting. People are trying to cope the best they can. When we arrived in Nhamatanda, we met with local government representatives to hear first-hand how people were coping in the aftermath. 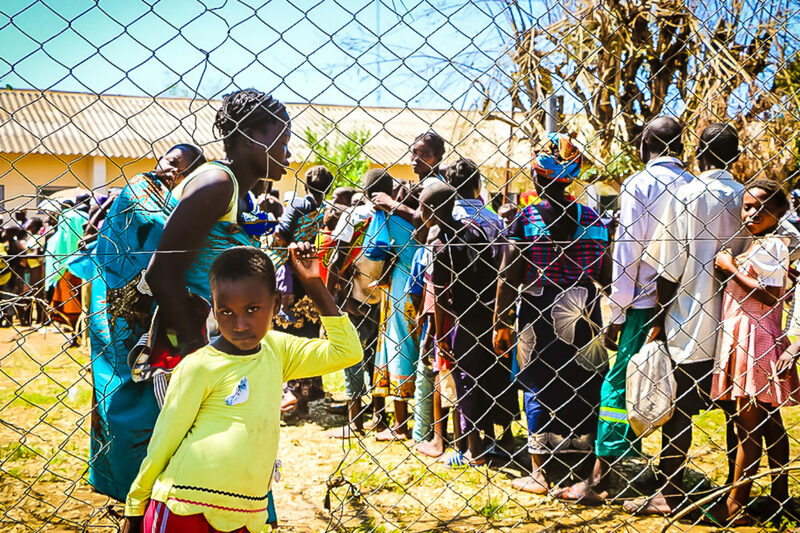 People queue to receive aid in Lamego village, Nhamatanda district, Mozambique, on March 26, 2019. Lamego, home to 29,000 people, was severely affected. Flood waters rose so quickly, homes were completely submerged and many people were trapped by the rising waters. The two schools in the village were so severely damaged, they were forced to close their doors. Thankfully, one of the local wells was untouched, the waters receded before it was flooded. That means at least part of the community can still get safe drinking water. However, several other wells were damaged and need repairing to restore safe drinking water for the entire village. A woman fetches water from a well in Lamego village, Nhamatanda district. 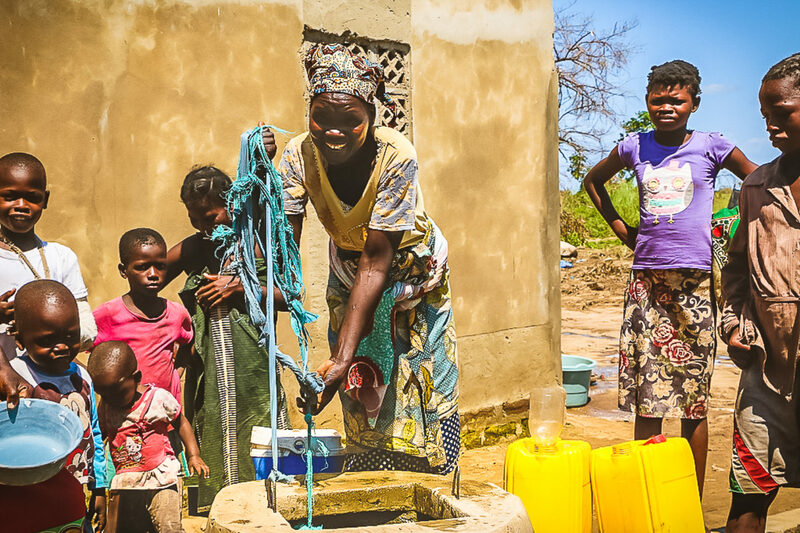 Many wells were damaged by Cyclone Idai and related floods and need to be repaired. 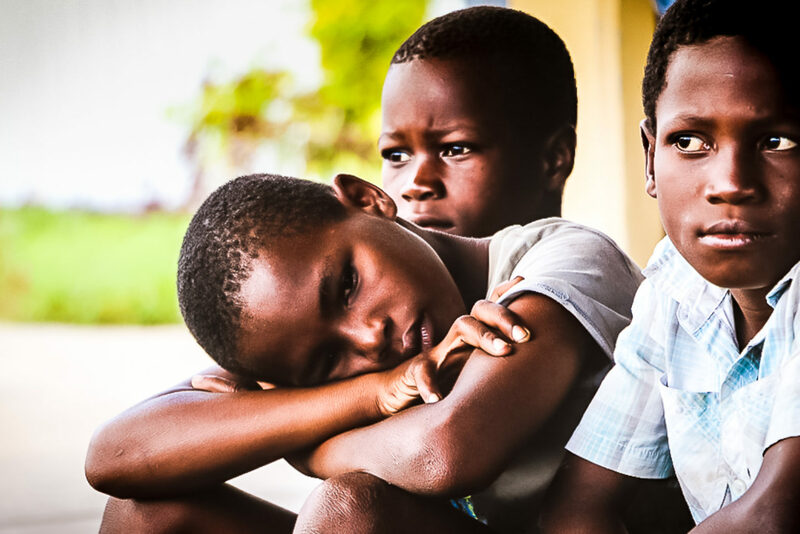 Children sit in front of the airport in Beira, Mozambique, on 25 March 2019. The U.N. Children’s Fund (UNICEF) reports that nearly half of the 1.8 million people affected by Cyclone Idai in southern Africa are children. It’s a long road to recovery, and yet, I’m hopeful. I’m hopeful because I can see the humanitarian community coming together quickly to help survivors get back on their feet after this devastating event. And I’m hopeful I can play a small part in helping survivors feel seen and heard as they recover in the months to come. 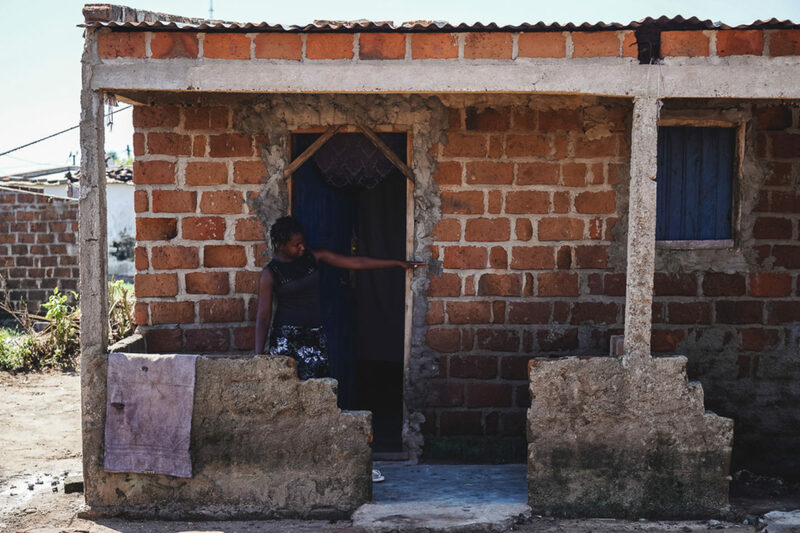 You can play a part in helping communities recover in Mozambique. They desperately need our help now. Please make a gift today to our Mozambique Relief Fund. Or consider becoming a monthly partner to help us respond to the greatest needs in the months to come as we come alongside communities in Mozambique as they recover from this devastating event.